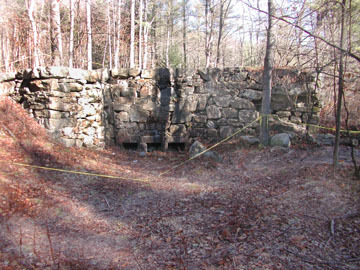 Mill Pond Dam showing water inlet at bottom. 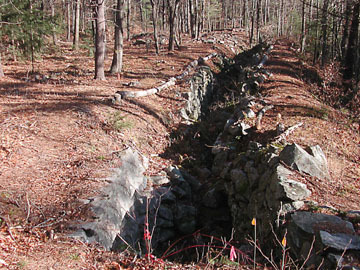 Sluiceway that brought water to the mill for power. 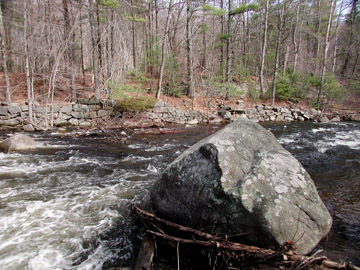 Springdale Mill as viewed from across the Quinapoxet River. 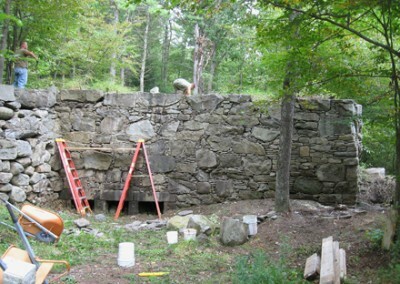 Rebuilding the mill site – undertaken in Sept. 2006. 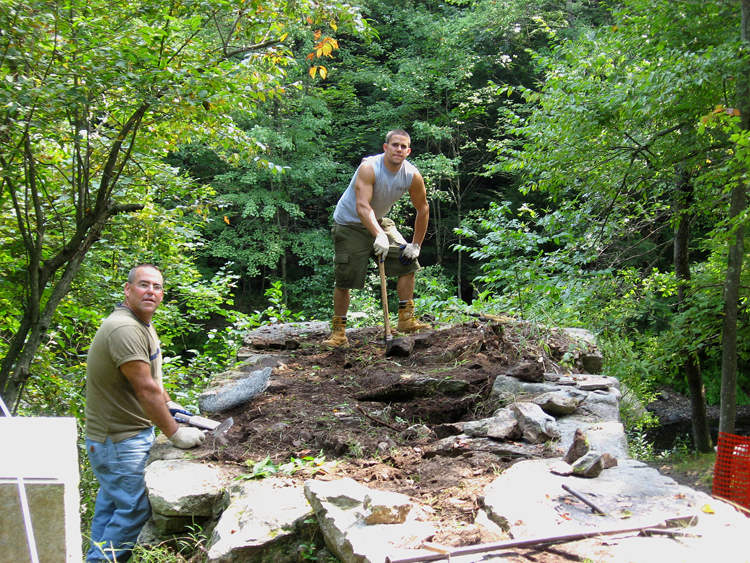 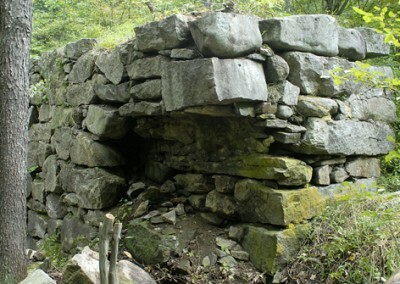 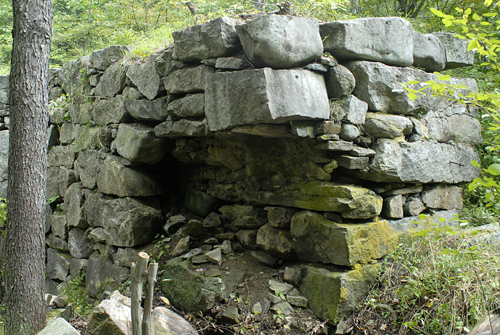 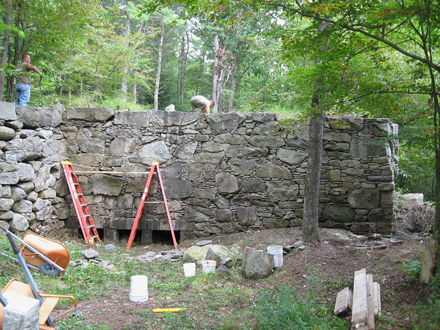 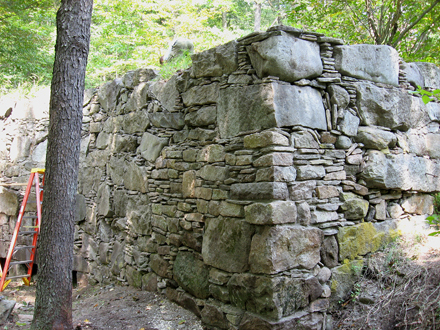 Rebuilding the mill site – note where stones had fallen out.